I caved. After purchasing all three pink/rose-toned Rose aux Joess Blush Duos ($50) at the Guerlain counter (you can find my feature here) the moment they arrived, I went back and bought Peach Boy (01), the warm duo that works the best for my skin. 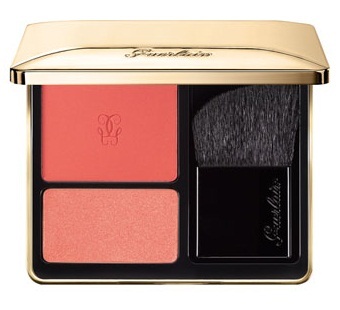 "Guerlain's new Blush Duos offer vibrant color pairings that allow you to re-invent your beauty routine every day. One vibrant shade adds a pop of color to the cheekbones while its smaller counterpart can be blended or used for a striking contrast." 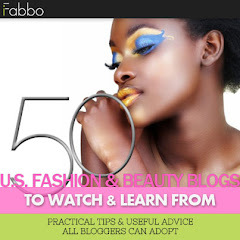 You can mix, match, and blend with great results. In person, Peach Boy isn't as orange at it appears in Guerlain's photos (one is shown at the top of this feature). I purchased it for the lower-level shade, a shimmering rosy peach, which is absolutely gorgeous. I wish there were more of it. I swatched the shades heavily with a sponge-tipped applicator and took my photos in full sun. The coral-peach shade above has a satin finish (almost matte). It's very pretty on my face when applied lightly with a fluffy brush. The rosy peach, shimmering highlighting shade is beyond pretty. It's exquisite. I can wear it alone as a blush. It's on the sunny side of warm on my skin, and it looks fabulous and summery. The shimmer in the highlighting shade is refined, meaning you can wear the shade during the day. If you blend it with another blush, the shimmer is "diluted," making it even more office-compatible. If you passed on the three warm-toned duos - for the same reason I did - take a second look. I think Peach Boy is the best one for cool-toned complexions. The other two are too dark or too orange for me. This one's a hit at my house. Now that I'm finished - seriously, no more for now - I'd love to know if you purchased any of the new duos. Which one(s). Do you like them? I'm going to a beauty event at Gurlain tmr....Can't wait to get my hands on them! This is so lovely! I love peachy blushes. Lucky you. Hope you have fun! Leticia, wouldn't you love to have a vat of the lower shade? Lovethescents, Peach Boy would look terrific on you! Dang. Now I want this! So pretty!